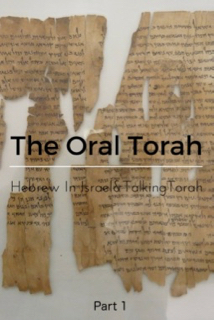 Join us in this series from TalkingTorah.org, as Yoel and Jeff Gilbert explore the history and usage of the Oral Torah. This week in Part 2, hear about the “beautiful mess” in the second temple period and the levels of disharmony that prevailed during the prophet Jeremiah’s time until the Hasmonian period. Join us in this series from TalkingTorah.org, as Yoel and Jeff Gilbert explore the history and usage of the Oral Torah. In this first episode, entitled “The Oral Torah, Truth and Tradition”, we discuss the history of Jerusalem around the time of the Jerusalem Talmud, differences between it and the Babylonian Talmud, the complexity of defining oral law, basic categories of oral law, the differences between the development of Torah law vs. other ANE law codes, what Israel understood that no other nation did, community customs, judging those who keep the oral torah, and what is in “God’s tefillin”?